By Ibn Qayyim al-Jawziyya. Translated by Penelope Johnstone. Medicine of the Prophet is a combination of religious and medical information, providing advice and guidance on the two aims of medicine - the preservation and restoration of health - in careful conformity with the teachings of Islam as enshrined in the Qur'an and the hadith, or sayings of the Prophet. 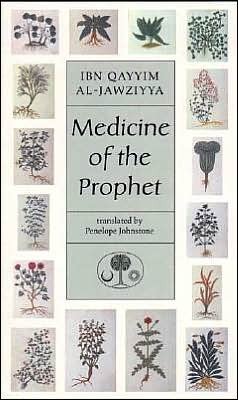 Written in the fourteenth century by the renowned theologian Ibn Qayyim al-Jawziyya (d. 751AH/1350AD) as part of his work Zad al-Ma'ad, this book is a mine of information on the customs and sayings of the Prophet, as well as on herbal and medical practices current at the time of the author. In bringing together these two aspects, Ibn Qayyim has produced a concise summary of how the Prophet's guidance and teaching can be followed, as well as how health, sickness and cures were viewed by Muslims in the thirteenth and fourteenth centuries. The original Arabic text offers an authoritative compendium of Islamic medicine and still enjoys much popularity in the Muslim world. This English translation is a more complete presentation than has previously been available and includes verification of all hadith references. Medicine of the Prophet will appeal not only to those interested in alternative systems of health and medicine, but also to people wishing to acquaint themselves with, or increase their knowledge of, hadith and the religion and culture of Islam. Islamic Texts Society 1998), English, Paperback: 318 pages.